Each year we invite regular and occasional contributors to write end-of-season reviews, writes Monsieur Salut. You’d be forgiven for thinking there would be little stomach for the task this year. But several welcome articles have been received and published; all deserve to be read as you will see by clicking on this link which takes you to the series in full. We thank all who have taken the trouble to share their part of the collective agony. Wherever you start analysing our season, it all ends up at the same place – we finished 24th out of 24, won the fewest number of games in the league, conceded more goals than 22 of the Championship 24 and most worryingly, took a mere six points from the five clubs who finished above us. That spells relegation. In two seasons we have played 84 games and only won 13 of them, which is just less than one in five – have scored 81 goals, which is less than one a game and have conceded 149 which works out at somewhere in the region of 1.8 per match. A mere 61 points have been accrued. Had we done that this season, we would have finished in 12th place in the Championship, sandwiched between Bristol City and Ipswich Town, two distinctly ordinary teams. The majority would agree that this was the most dismal season any of us have ever experienced. At least after the 19 and 16 points seasons we bounced back with some style. This time we slid down with barely a murmur. There are many reasons why it happened. There was a lack of leadership and responsibility from the owner, leading to poor recruitment of managers and players. These inadequacies led to tactical mishaps throughout the season and a series of appalling performances against teams that were only marginally better than us. As a result there was a dismal atmosphere at the Stadium of Light for the vast majority of games, as fans either gave up, vented their spleen at Ellis Short or sat with their head in their hands wondering how it had all come to this. I have never been so glad to see the end of a season. I am supposed to enjoy my football. A season that started with the aftermath of a relegation ended up with another one. How did we come the full circle? Can we, like Kevin Bacon and his rather fun game, get there in six moves? Maybe we can…. Move 1: managerial appointments in the summer. Once David Moyes (the epitome of Wodehouse’s Scotsman and a ray of sunshine) had done the decent thing and exited Wearside quickly there was the problem of bringing in a new manager. We were not a good proposition – owner losing interest, huge debts, poor playing staff – but we hoped that the lure of a famous old club, a state of the art training ground and as fine a stadium as you will find anywhere, would attract a good candidate. 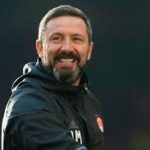 Martin Bain made it clear from the start that the Aberdeen manager Derek McInnes was the man he wanted, having courted him while he (Bain) was at Rangers. He (McInnes) ticked a lot of boxes. 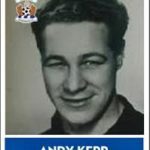 He was young, ambitious and had put together a solid side at Pittordrie, which was widely regarded as the Best of the Rest in Scotland. 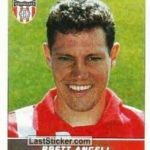 He had been a good player, had played in England for West Bromwich Albion and had even scored twice at the Stadium as The Baggies won 2-1 in a season that saw both clubs relegated. He clearly looked carefully at the proposition, studied the playing staff and the culture of the club, listened to what Bain had to say, went back to Aberdeen to think about it – and ever so politely turned it down. That left us rushing around for a suitable candidate. The gaze fell on Simon Grayson, who had done well at Preston North End, had experience in Divisions One and the Championship and was keen to get his hands on a big club. He probably did the same diligence as McInnes but presumably thought that he could deal with it and promptly accepted the job. He looked around for players that he knew and brought in James Vaughan, who had played for him at Huddersfield, Aiden McGeady, who was player of the year at Preston, Tyias Browning, who had also been at Deepdale and Jason Steele, who had been made available by newly relegated Blackburn. Throw in a couple of experienced men in Marc Wilson and Lewis Grabban and a couple of gambles in Brendan Galloway and Robbin Ruiter and off we went. It stared reasonably well with a home draw with Derby County and then a grand win at Norwich City. A hard-fought draw at Sheffield Wednesday made some think that the play offs were realistic and that the Yorkshireman was well settled in. And then…….. Things began to go wrong as Leeds United came to Wearside and for 45 minutes, looked like world beaters. The first doubts about the manager and his playing staff began to creep in after that game and a below par (but winning) performance at Carlisle in a League Cup tie, did little to assuage the doubts. 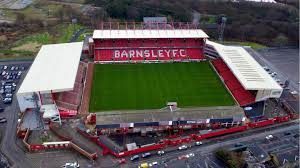 Barnsley had essayed an impressive survival at the end of the previous season and had brought in young and hungry players. We pitched up with a team that had expensive signings like Kone and Ndong, experienced men like Cattermole and Oviedo and players who knew this league like Vaughan and McGeady. We were outplayed. Barnsley showed a hunger and desire which allied with no little skill, was far too good for a wretchedly pedestrian Sunderland performance which set the alarm bells ringing. The support was not enamoured by this and some fearful stick was given to the players, who were probably expecting a gentler ride. Grayson struggled to explain such a lack-lustre performance although with hindsight, the problems lay with him and the systems he tried to play. This game showed the 1,300 Sunderland supporters present that not only had Grayson failed to arrest the slide but we were now on the Cresta Run without a toboggan. Ipswich were an ordinary side who had no chance of worrying either the top or bottom six. They had a mildly discontented fan base and were managed by a Yorkshireman who came from the gritty part of the county (Cudworth) rather than the broad acres around Bedale where Grayson had grown up. 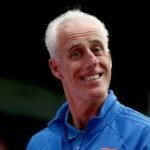 Mick McCarthy (for it was he) was delighted with his team’s win and so he should have been after they demolished us 5-2. Their emphatic victory was partly due to a good attacking performance and partly due to defending and goalkeeping that would have shamed our old friends in the Brandon and Byshottles Sunday League Division Four. I had a few days to mull this one over as I missed the 2-2 draw at Preston in order to take in Shildon’s excellent 3-2 win at Banbury United in the FA Cup. While mulling over pints of Hook Norton’s wonderful beers, I felt that failure to win at least two of the next three home games, which included a visit from bottom placed Bolton Wanderers, would probably lead to a managerial change. We failed to win any of them. The managerial change happened and in came Chris Coleman. Coleman made a slight difference. Out of the eight games prior to this one we had won three, lost three and drawn two, giving us 11 points out of 24. It wasn’t brilliant, but there was something to build on and the transfer window was about to open so we could strengthen the team. 2017 had been consigned to the dustbin of history with a fighting 1-0 win at Nottingham Forest and the visit of a struggling Barnsley side on New Years Day was seen as an opportunity to further lift the gloom that hung around the club. Alas, the gloom descended further and never lifted for the rest of this wretched, miserable, embarrassing season as Barnsley won 1-0. At least the Tykes had played well in August. Here they were not very good but we were awful. A simple goal was conceded due to atrocious defending and we never once looked like scoring. Alarm bells that had rung at Oakwell and clanged at Portman Road now tolled ominously as the team were jeered off at the end by the few who had bothered to stay. But there was always the transfer window……. Move 5: The Transfer Window. In the past we had sat and watched the perma-smile of Jim White and his chums as we signed decent players. Two years prior to this, Sam Allardyce brought in three men who gave us hope as Kirchhoff, Kone and Khazri played a major part in helping us to retain our Premier League place and send Our Friends from the North down. Two years before that, Jermain Defoe had arrived from Toronto to become a genuine hero with his goals and his love for Bradley Lowery. Ten years ago, Carlos Edwards, one of my all time favourite players, arrived along with his fellow Trinidadian Stern John and the incomparable Jonny Evans, to take us from mid table to winners of the championship. This year we got Lee Camp, Ashley Fletcher, Jake Clarke-Salter, Ovie Ejaria and Kazenga Lua-Lua. Clarke-Salter and Ejaria are good players who will do well in the future and will also have learned an awful lot from their stint at Sunderland, ie don’t ever sign for a club that is in such a desperate state. Fletcher did improve as his time went on and if we have any money to spend next season, I would not be against signing him for what I hope will be a brief stint in the third level. Lua Lua never started a game and will leave as a future quiz question (What went to Sunderland for five months and was never seen?) while Lee Camp was no better than Ruiter or Steele. The latter did look like a goalkeeper as the season faded away – but far too little, far too late. On top of the incomings, we lost Didier Ndong to Watford (where he played a grand total of zero minutes), James Vaughan to Wigan (not missed at all) and Lewis Grabban to Aston Villa, where his goals helped to cement their place in the play offs and to help send us down to the nether regions. Grabban was not everyone’s cup of tea. Some thought him lazy and lacking physicality. I saw him as a great goal poacher who if the ball was played to him in the way that he wanted it, would plant it in the net. His double at Norwich showed that and once he left, we were well and truly sunk. Where Defoe’s arrival saved us in 2015, Grabban’s departure doomed us in 2018. His goal in Villa’s emphatic 3-0 win summed up his strengths (peeling off at the far post) and our weaknesses (a complete inability to defend at the far post). QED as Mr Hornsby used to say in Year 2 Maths in the Cube. Move 6: Ipswich Town (HOME). 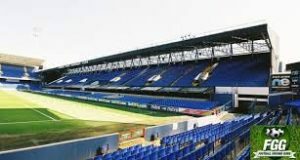 Mick McCarthy’s return was a chance for us to gain revenge on the Tractor Boys for the humiliation experienced at Portman Road and with our new players firmly ensconced in the team (Lua Lua excepted) we were ready to move up the league and begin to look at a push for the play offs next season. The youth of Ejaria and Clarke-Salter (although he was suspended after a bit of a disaster at Cardiff the previous week) combined with the experience of O’Shea and Cattermole plus the enthusiasm of Fletcher and the coolness of Camp would see us win and begin that move away from the relegation zone. We lost 2-0. They scored two awful goals courtesy of Garner and a Matthews og and that was the day I reconciled myself to another relegation. Ipswich were as average as they had been all season (would that we were in their position) and won without breaking sweat. Mick McCarthy knew we were down and I suspect Coleman did as well. There were a couple of flurries that gave a scintilla of hope (Bristol City, Derby County) but every step forward was followed by two and sometimes three back (Brentford, Sheffield Wednesday) mainly due to poor defending and a midfield that never got hold of a game. Some of the manager’s selections and substitutions left a lot to be desired as well. Surely Asoro was a better bet than either of the two M(a)cs who ran around a bit on the wings. Surely it was wrong to stick with Camp for so long. Surely we could have got something out of Rodwell had he been handled differently – although I can offer no advice on how. He has been the biggest of all the big disappointments in all my time watching Sunderland. He leads a long line, starting with Andy Kerr and taking in the likes of Roy Greenwood, Tom Ritchie, Brett Angell, Lillian Laslandes, Torre Andre Flo and Asamoah Gyan (insert your own personal choice here…….). I dread to think what will happen if he is still here next season. And we end up where we started, with another relegation on our hands, the 10th one that the editorial team here at Salut Towers have experienced. Some have been followed by immediate promotion while others have led to long stints in the second tier. My fear is that we could have an extended stint in the third tier and maybe even in the fourth. 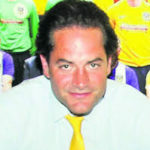 Stewart Donald and Charlie Methven will need to be smart, sensible and serious if they are to turn this club around. They will need to appoint a manager who is tough and who knows the league we are going to be playing in. They will have to persuade the likes of McNair, Asoro, Honeyman and Watmore to stick with the club at least until January. They will have to ensure that there are no more Rodwells or Brownings joining us, players who have no heart and no feel for Sunderland AFC. We need a mix of grizzled professionals who can teach the youngsters how to survive a cold Tuesday night at Spotland and youngsters who can inspire those grizzled pros when Wycombe Wanderers are frustrating us at the Stadium. We need supporters to reconnect with Sunderland AFC and the club to do all that it can to rebuild those connections which were so strong four years ago after Wembley and The Great Escape. If it takes two or three years to get back into the Championship so be it. What we must not do is continue to slide down the leagues. Oblivion (and South Shields FC or Spennymoor Town) is getting closer…..Thank goodness it’s all over. Let’s hope we don’t have to write about the Six Degrees of relegation again next year. The nerves won’t take it. 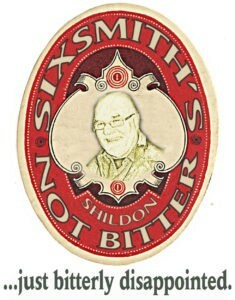 Pete Sixsmith and home page graphics by Jake. If there is any copyright claim, not answered by ‘fair use’ exemptions, on the other images used to illustrate this report, please make us aware and we will add credits or remove as requested. Spot on and well done for finding the fortitude to write after being dragged down by watching. Yet another brilliant analysis from the pen of Peerless Pete. I don’t disagree with a word of it. This season will be remembered for its catalogue of mistakes, summarised here and in numerous previous articles and posts by this site’s deeply knowledgeable readers. I refer, of course to [a] the decision to sell Vito Mannone for a relatively paltry fee, and [b] the failure to retain Lewis Grabben for the full season. I’m pretty certain that Vito would have stopped enough of those goals against to turn defeats into draws, and the odd draw into a win. Equally, I’m sure that Grabben [ not a player I admire ] would have at least kept up his scoring rate [ I think he had 12 when he left? ] to reverse a few of our negative results. As Pete mentions, there were a number of other poor teams in this seasons Championship, but none possessed quite the lethal combination of toothless finishing, and hapless goalkeeping as Sunderland. Like Pete, I am so pleased this season is ended. At aged 80, I have experienced a fair few highs and lows during my 70 plus years as a Sunderland fan. I now want some pride back. We have had quite enough of being everyone’s joke club. I hope that next season proves to be the start of our revival. Another fine read Pete, on the worst season I have witnessed following SAFC home and away since 1967 and although there has been end of season reviews from 8 excellent contributor’s they all follow sadly a very similar theme. Like most on this Site I fear for what’s next for our once famous Club as now replace famous with laughing, and not only from our deluded neighbours in Northumberland (old school me). But I also fear for what this could mean to the next generation of supporters if we don’t reverse this slide quickly, I come from South West Durham where growing up all the mining Villages were a hot bed of SAFC support, not anymore. I was amazed when at Sunnybrow Junior School my son was the only one in his Class to hold his hand up to being a Sunderland supporter in 2004. The Quinn, Keane revival, the League Cup Final (told you old school) seemed to reconnect the Club with younger supporters, but the last couple of seasons have been so dull, there’s no excitement at games to keep the youngsters entertained. 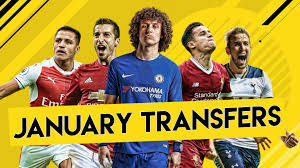 I have a 6-year-old grandson who’s football daft, he with my Daughter have had season tickets for the past 2 years but aren’t renewing this year, because half way through last season he said it was boring and he didn’t want to go. I don’t want, on a match day, for the ground to be a third full old people like me, only there because that’s what we do. Drove past the SOL complex after running in the Sunderland 10K today. It’s flabbergasting seeing the size of this club, in the 3rd division. But reading this season’s assessment makes me think was relegation for the best? We have a great opportunity to clear the decks, get rid of the deadwood, allow new owners to curt inefficiencies and bring in new blood/ideas. Would this opportunity occur if we had stayed up? Would Short have sold and cleared the “debts”. Would we have had to get rid of the deadwood? Just need a manger with the arrogance of Dennis Smith to get us back up first time. We have been down this far before, and almost recovered. Hopefully, the new owners are more sensible, and we manage a return to the top flight. Hopefully, with a Burnley set up.